The giant panda is a large mammal which, overall, has the same general size and shape of the American black bear and the Asiatic black bear. 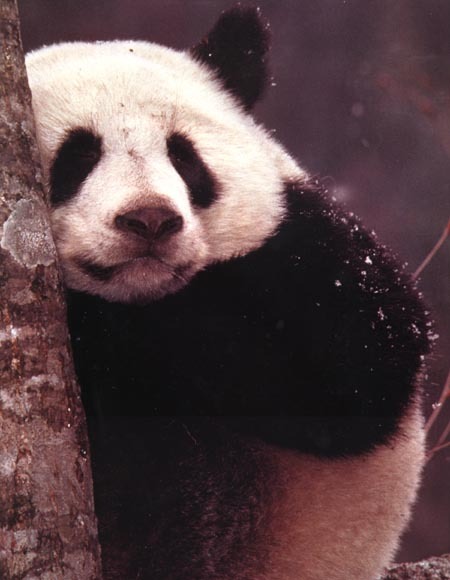 In general, adult giant pandas and have a length of 160 to 180 centimeters (5 1/4 to 6 feet). The weight of a adult male giant panda is normally between 80 and 125 kilograms (176 and 276 pounds) with males typically weighing about 10% to 20% more than females. With few natural enemies other than man, the lifespan of giant pandas in the wild is thought to be twenty-five years or more.